Modern science claims that human consciousness is the product of highly organized matter, or brain. However, this assertion is debatable. Infact a highly organized matter itself requires a conscious approach or an intelligent manipulation of matter. Therefore, this definition refutes itself. Spiriton, is the new scientific term proposed by scientists at nternational Bhaktivedanta Institute. None of the chemical elements in our body alone possesses consciousness, including the brain cells. No combination of these elements, too, generates consciousness, but, nevertheless, each of us has a consciousness. In Sanskrit, consciousness is called by the term jeeva. Another term is Aatma, which translates as a spark of spiritual energy or just a soul. Spiriton is derived from the English word spirit (soul). This particle of consciousness is fundamentally different from the smallest particles of matter such as electrons, positrons, etc. In contemporary philosophy its definition is often hinted at via the logical possibility of its absence, the philosophical zombie, which is defined as a being whose behavior and function are identical to one’s own yet there is “no-one in there” experiencing it. Despite the difficulty in definition, many philosophers believe that there is a broadly shared underlying intuition about what consciousness is. It is the bearer of life. Spiriton cannot be created or destroyed; it has an eternal nature. Spiriton has consciousness and free will. Spiriton has a personal nature. As Spiriton belongs to the category of higher energy, in contrast to matter, which is of the lowest energy, it does not have material characteristics and therefore cannot be detected by physical experiment. However, there are indirect signs by which we can determine the presence of Spiriton in matter. When the matter is devoid of the presence of consciousness or Spiriton, it is inert, or dead. When Spiriton is inside matter, the matter is showing signs of life, just as the inanimate machine is showing signs of life when a person starts it. Matter itself is characterized by a low content of information or the lack of specific external shape except for the atomic and molecular structure. The presence of the Spiriton in matter fills it with the high informative content and gives it a concrete and specific form. To see this just compare the crystal lattice structure of minerals and the extremely complex structure of living cells. The presence of the Spiriton in matter runs a clear and regulated mechanism of metabolism, which is not observed in inert matter. Inanimate matter tends to lose its shape during transformation. But matter with the presence of Spiriton, during transformation and regeneration, does not lose its complex and specific form. Dead matter cannot reproduce itself, but live matter can. For example : A big working machine is not giving birth to a little machine, but trees leave seeds behind from which new trees form. The dead matter grows only due to external mass accumulation. But the Spiriton inside matter stimulates the growth of matter from the inside, showing the complex process of consciousness development. For example : The crystal is just growing in volume, without changing its fundamental qualities, but a living organism is growing, changing its consciousness, and passing through such stages as infancy – childhood – adolescence – adulthood – old age. Effected inert matter shows only the passive resistance of the material. The presence of the Spiriton in matter creates a mechanism of adaptation to external influences and manifests itself as an active resistance to obstacles. If we hit a ball or wall, it has onl molecular reaction. But if we hit a living being (which has spiriton), it runs away or resists. When it is cold, we dress warmly and when it is hot, we open windows wide and dress lightly. In this way Spiriton influences us to adapt to the environment. Apart from the fact that consciousness has a nature different from the nature of the physical body, this principle can also be understood by some indirect factors. How do we refer to ourselves? Naming parts of our body, we say: it is my hand, it is my leg, it is my head, it is my body. We do not say: I am the body. Speaking of my body, we mean that the body has a boss – that is, the soul. When someone dies, we say that the person left us, while the body is still in front of us. Which means, that there was a true person or entity, the owner of the body. Without the consciousness of the soul the body loses all its value, and it’s either buried in the ground or cremated. Chemical composition of the dead and the living body is completely identical. Moreover, death is an instantaneous process, and occurs when the luster of the eyes disappears, and an oscilloscope, fixing electrical oscillations in the brain, shows a straight line. If we condider the time interval between the moment when a man was still alive, and the moment when it was discovered that he was dead; for this insignificant period of time, no change could have occurred at a molecular level, since it would need an infinitely larger energy. The question for scientists is then : Why a person has died, if at the time of death there had been no changes in the biochemical structure ? The only scientific explanation lies in the fact that at the time of death the body is separated from the consciousness (soul), the true reason for living. Because consciousness is nonmaterial and has no mass, it separates from the body immediately without any use of energy. From then, the process of decomposition of the body starts to progress very rapidly. This is because the consciousness, having an eternal nature, inhibits the destructive processes while still in the body, and when this eternal element leaves the body there is nothing else to hold back the process of decomposition. The experience of clinical death also confirms the different nature of the consciousness and the body. About 30% of survivors of clinical death, remember this experience out of the body and reproduce with great accuracy the events that they observed from a time when their physical body was lifeless. This confirms the assertion of the Vedas that the soul is the source of the original senses. These subtle senses of the soul are related to the physical senses through the subtle energy channels in the body. 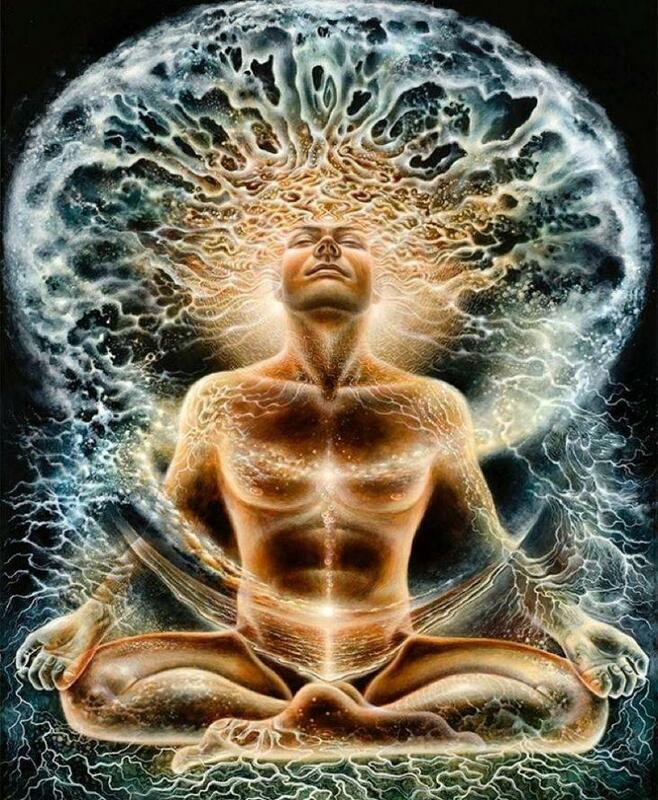 The subtle energy channels, at a gross level, transform into the nervous system and then are connected to the brain and the external senses. It is these inner senses that allow us to see dreams when our outer eyes are closed. That’s how a blind Bulgarian prophetess Vanga had seen the future, and the apparently deaf Beethoven heard the music.